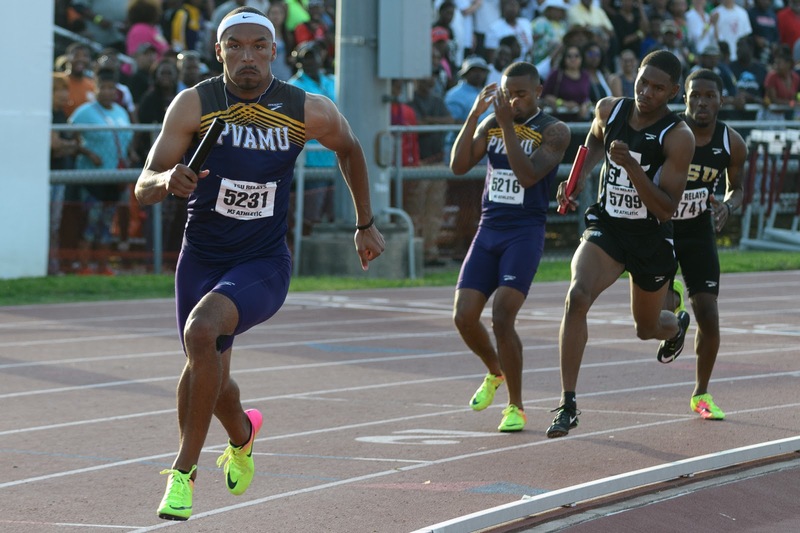 HOUSTON, TEXAS (March 27, 2018) Texas Southern University hosted its 67th annual TSU Relays on Friday and Saturday March 17-18 where students from all over the country came to test their endurance and skill. 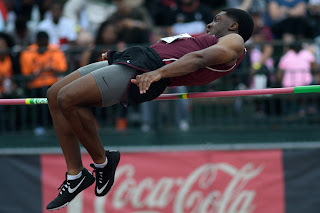 Middle school, high school and college men and women competed in pole vault, long jump, and javelin events as well as track races including races with and without hurdles, timed heats and team relay races. The first afternoon’s quick downpours brought a need for a rotating schedule however the lightning less rain soon passed on, leaving the Houston humidity to heat up the Alexander Durley Stadium where the games took place. The turf where the Athletes converged was about ten degrees hotter than the temperature read so the athletes were huddled up anywhere there was a slice of shade especially on day 2 when the bulk of the games took place and the crowds filled the standing room only stadium. The US Coast Guard sponsored the incredible games that welcomed athletes who not only were competing for trophies but to break records. 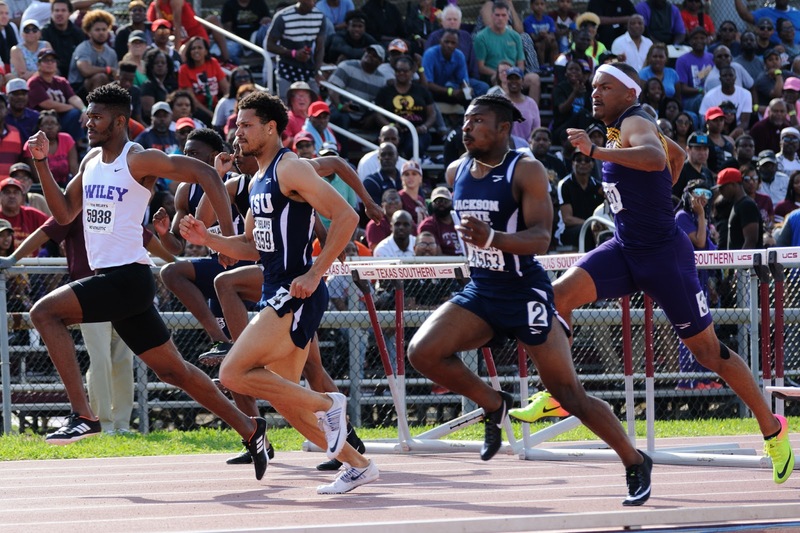 Many did just that including Chris Carter who competed in the triple jump coming in 4th in the country and who left ranking 2nd in the nation with a personal best of 17.18m and TSU’s own relay team who ran the 4x400 meter relay to earn the 10th spot in the nation with a time of 3 minutes 10.4 seconds. Texas A&M took first place nationally in the 4x200 meter relay, but Wiley College was nipping at their heals, behind them by 3/10s of a second. 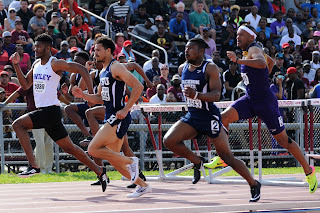 With two other record breaking athletes in other track events, it was a great showing by Wiley. The two days of events, food and fun was a huge success for the athletes who competed, graduating seniors who were honored alongside the generous sponsors, and Texas Southern University who were proud to host the games for the 67th year and who look forward to next year.